The Florence mid-century modern bed frame is our signature solid walnut platform bed frame. The bed is rich in color and sleek in profile. 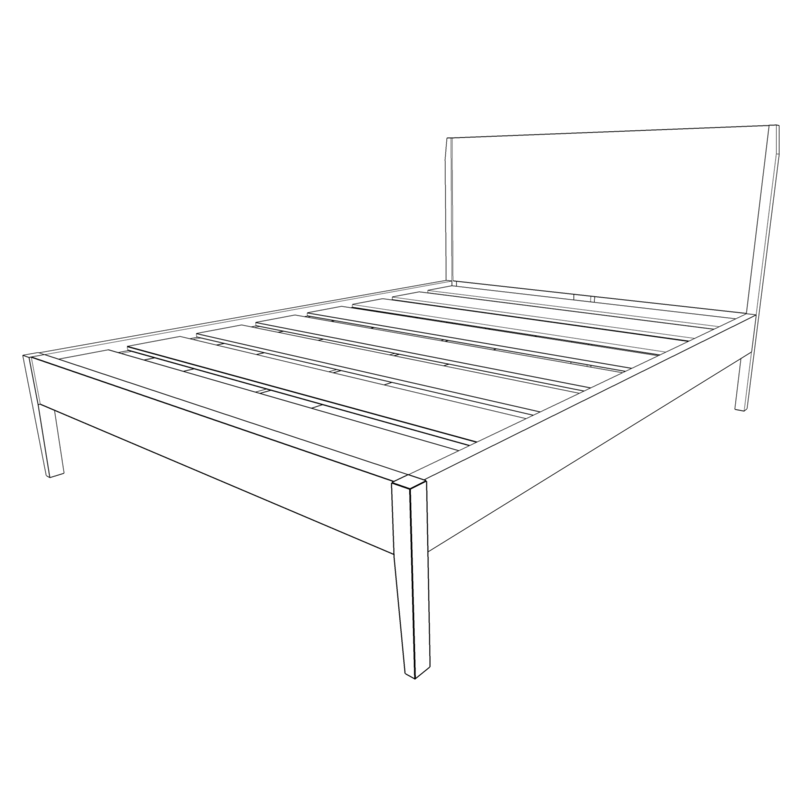 3/8" Steel plugs accent the outer legs and headboard trim, giving a splash of mixed materials to the bed. 3/8" thick rails and footboard.